This job was carried out in our local area of West Wickham in Kent, where our showroom is located. 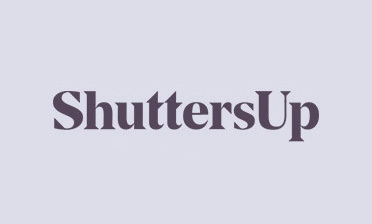 As well as our client base in our immediate area, we also offer shutters for customers throughout London and the South East of England! 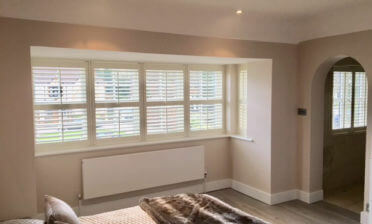 Ben visited this local customer to carry out the installation of their new shutters for a Bathroom and Living Room area. The shutters were both created from our Bali Range. These shutters are created using an LDF shutter with light weight ABS louvres. These are a cost effective solution which although not made of hardwood like many of our other ranges still look great. 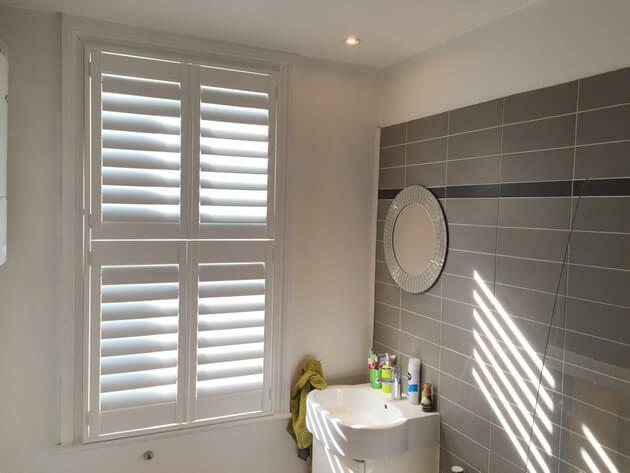 In the Bathroom we used tier on tier shutters which allowed the client to have full access to the windows to rid the bathroom of condensation whilst still maintaining great privacy which were one of the important aspects of this installation. With tier on tier shutters you are able to open and close the top and bottom sections independently, while also adjusting the louvres not only on each panel but again separately on the top and bottom sections. The living room shutters were created using full height shutters with a mid rail. The mid rail allows for separate louvre adjustment on the top and bottom much like the bathroom shutters, but without the ability to open and close the top and bottom sections separately. These shutters match the windows perfectly from not only the inside but also the outside of the property. 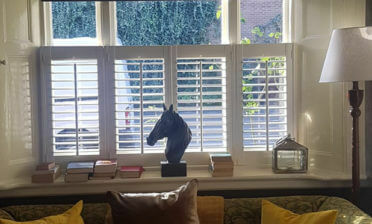 We had to design and build the shutters around the customer’s bay window which is done with precision accuracy due to all our shutters being bespoke made. 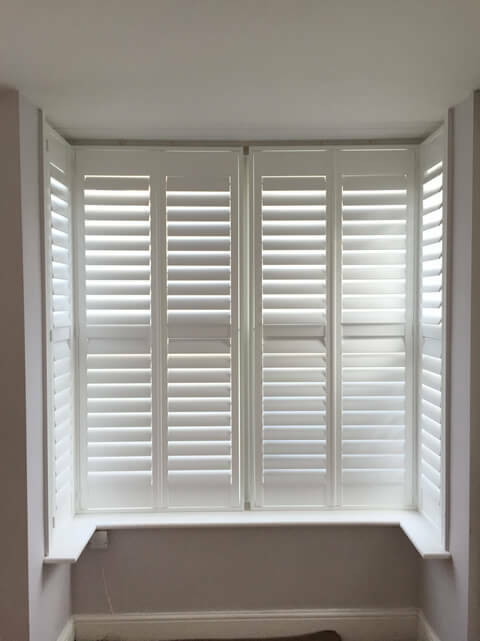 Both sets of shutters feature 89mm with hidden tilt rods, allowing adjustment through touch of the louvres rather than using a visible rod. We used 4 Sided insert L Frames and finished both sets in matching Pure white with the same colour hinges.